JUST333.biz Joins the Chamber - Welcome!! 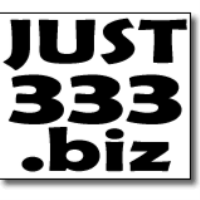 Join us in welcoming a new member...JUST333.biz is your resource for getting and keeping your data organized; completing marketing projects and providing other virtual assistance that you might need so that you can focus on the priorities of your business. From your surveys, questionnaires, suggestion cards, applications and fast and accurate data input to your preferred database - including apps! TEXT: "Call Me" to 9195784929 to set a time for us to connect.